Replacement arm and knob for the 180 degree swivel and table mount bracket. 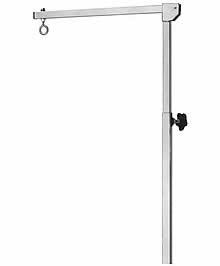 Grooming Arm adjust up to 48" and is collapsible. This is just the arm (the L shape). Includes 1 knob only. This arm is also for the F976000-42 Table for the opposite side of the table. 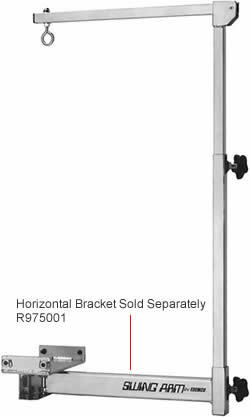 If you need the Horizontal Swivel only, the item# is ED-R975001.